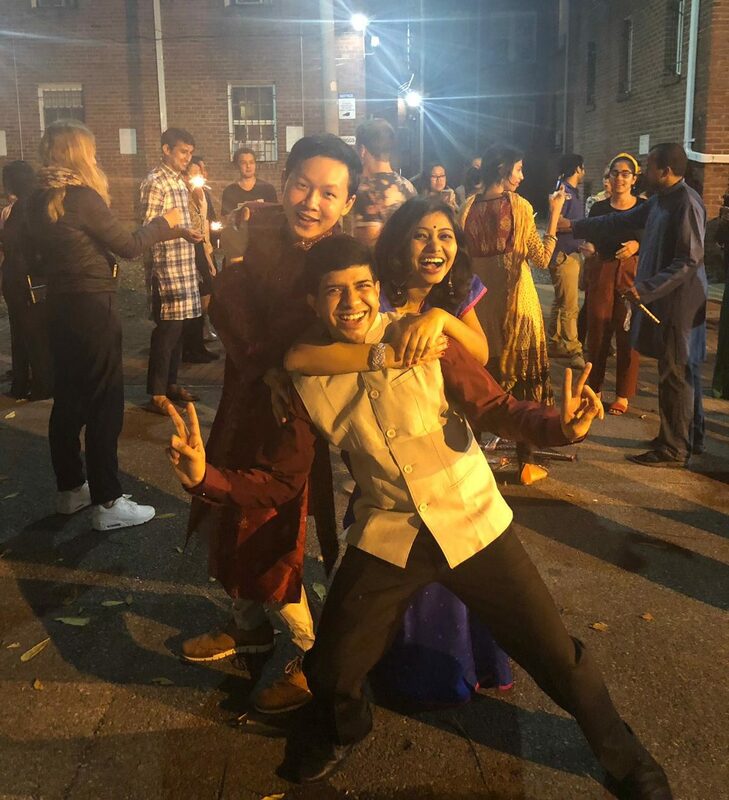 ISH-DC Family Celebrates Diwali – The Festival of Lights! Diwali, the Indian festival of lights, evokes myriad memories of spectacular fireworks on a moonless autumnal night, homes illuminated by dozens of bright lamps, and family and friends visiting each other and sharing traditional sweets and other delicacies. Its religious significance aside, the festival brings together communities by symbolizing the triumph of good over evil, hope over despair, knowledge over ignorance, and light over darkness. 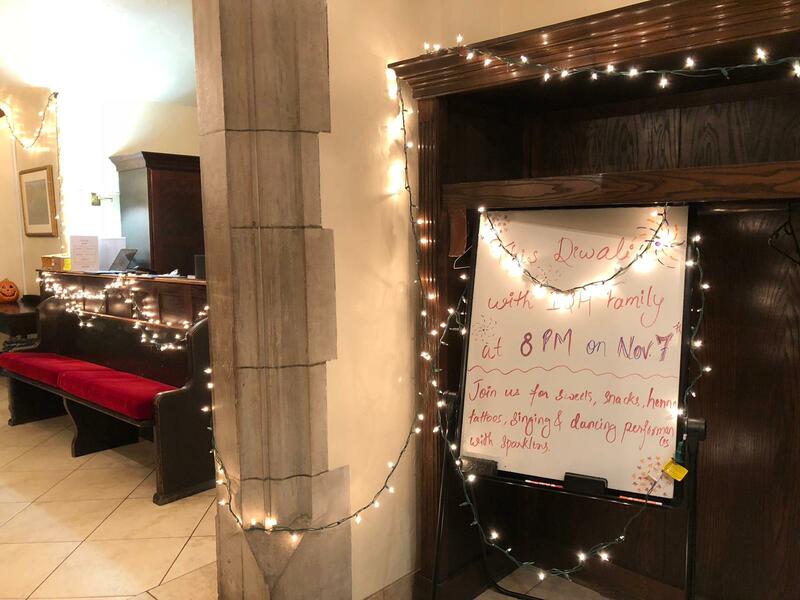 On November 7, 2018, for the first time in its history, ISH-DC was bathed in the spirit of Diwali – fairy lights adorned the walls and beautifully-painted earthen lamps lined the corridors. In fact, the word “Diwali” is derived from a Sanskrit word meaning “a series of lights”. 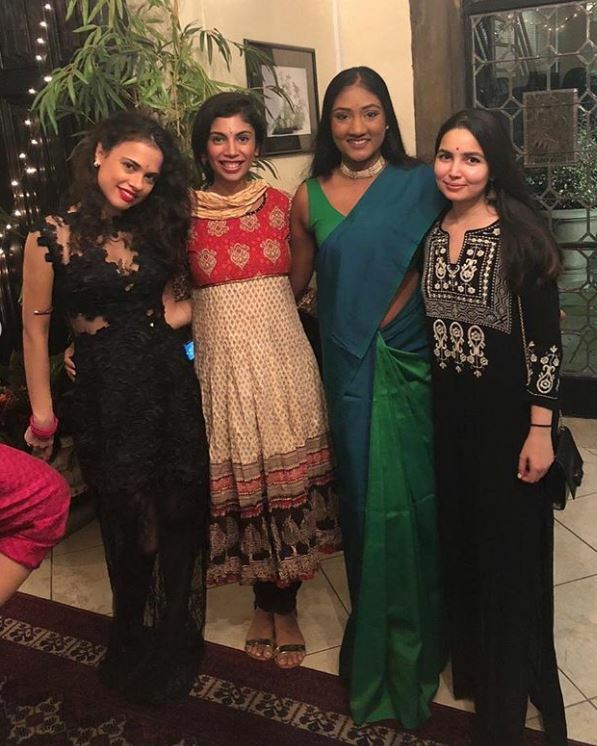 Residents, some of them dressed in colorful traditional costumes (Sarees, sherwanis, kurtas, – you name it), thronged the venue in enthusiasm for an unforgettable soiree. A few residents let their artistic juices flow, helping the others apply henna tattoos (also called Mehndi in several Indian languages) – and we witnessed some very impressive designs! We also had different South Asian snacks and sweets that residents gorged on. Diwali holds a special place in my heart because it coincides with my birthday in accordance to the Hindu lunar calendar. 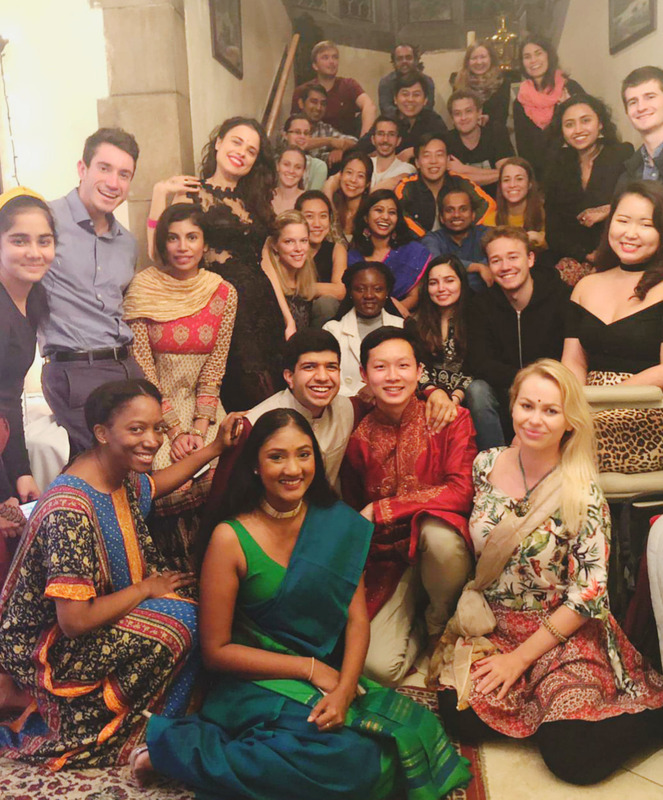 However, this Diwali will always remain the most inspiring one, because I was given an opportunity to put up a special Bollywood singing performance for the residents – and it was the first time I sang with all my heart and soul before such a large, encouraging audience! Residents Sunny Dharod, Bob Zeng, Krista Heinonen and I also performed before the rest a Bollywood dance sequence (complete with facial expressions and synchronized movements), in the midst of jubilant cheering and applause by our equally energized fellow residents. Needless to say, the revelries had just begun! A mélange of colors and cultural backgrounds merged into a pixelated unity when all the residents came together to groove to Bollywood chartbusters and festive beats on the dance floor that the ISH-DC lobby had transformed into. Finally, keeping with the traditional spirit of Diwali, we gathered to light mini-sparklers. What stood out was the beaming smiles and unrestrained laughter. Such a blissful way to bring to a close a festival that triggers nostalgia and ties me, just like many other residents, to our roots. The ISH-DC community is a close-knit family after all! Adyasha Mohanty is an Indian student pursuing Master of Arts in International Development at Johns Hopkins SAIS. She most recently lived in Rotterdam, the Netherlands, where she graduated with a Bachelor of Science degree in Economics and Business Economics. Adyasha also studied abroad in Munich and London where she explored her interest in the interplay of economics with Middle Eastern geopolitics and European integration. 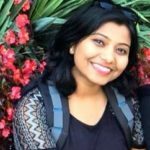 She has worked as a research intern at the Indian Institute of Foreign Trade in New Delhi and has extensive student leadership experience, her most favorite part of which has been providing teaching and curricular guidance to language coaches in a student-run language and culture sharing organization back in Rotterdam. In future she hopes to engage in social development policy in the international context. Her academic and professional interests aside, Adyasha enjoys traveling, learning about different cultures, writing poems and singing.